How is everyone weathering the change in season?! I started my Level 4 qualification in diet and nutrition last week, which I'm excited about. As well as it helping me to understand how everything I put in my body can either help or hinder my own health and thyroid journey, I'm hoping it will enable me to help you all too by sharing everything I learn. I've always had a love for learning. I came down with my first cold of the season last week which wasn't at all nice! But I doubled my Vitamin C and zinc intake (via supplements) which made sure it was gone within a few days instead of lingering for a week or two. What are some of your remedies for tackling illness swiftly? I have included an article from a year or so back further down this newsletter, about my experiences as someone catching illnesses with a thyroid condition. I am also attempting to grow my eyebrows out at the minute (those of you following me on Instagram will have no doubt seen!) and it's interesting to say the least! I was thrilled that my pencil thin brows immediately started filling out when I stepped away from the tweezers and let my optimal thyroid and vitamin levels take care of the rest. Losing eyebrow thickness is a definite sign of low thyroid hormone levels, so if yours have been affected too, do check that your levels are optimal as this can make a lot of difference. My skin has also cleared up a lot in the past week, with no new acne for a while now and just scarring left currently. I'm really hoping this is a sure sign that my candida is coming under control and the diet I've been sticking to is working. I see my functional doctor on Monday and can't wait to share my progress with her. Wishing you a great couple of weeks ahead and lots more progress! NEW STUDY: Thyroid hormone assists with liver disease and Type 2 Diabetes. OR, is it that patients were deficient in thyroid hormone FIRST and then developed these conditions? I'm excited to share that I am now a regular ThyroidChange contributor! The brilliant website by ThyroidChange, full of endless amounts of knowledge and useful information on thyroid disease, will now be publishing an article every few months from myself. See my first one here. Why Are There so Many Names For Hypothyroidism? After receiving a diagnosis, a lot people take to the internet or online forums to seek answers and support but many different names and terms are used when people talk about their thyroid condition. Namely hypothyroidism, which is also known as an underactive thyroid, Hashi’s, thyroid disease and more. So, what’s the difference and what term should you be using? 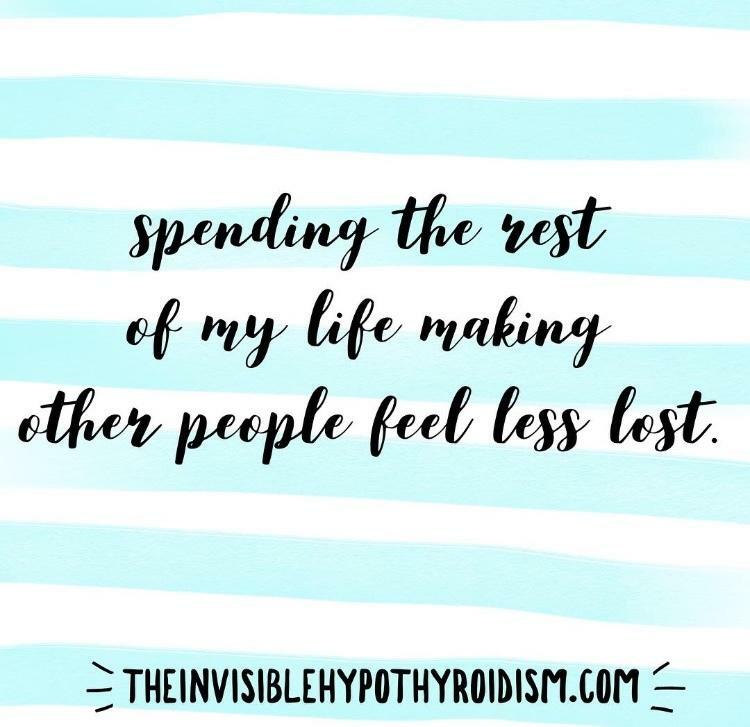 With cold and flu season upon us, my article about what it's like for those of us to catch an illness on top of hypothyroidism has had another surge in views. I've been editing and reviewing my book a lot the past few weeks. Don't forget to sign up to hear when it's available to purchase. And read!